Registration is open for the Big Event, an annual student-led community service project that allows more than 3,000 Husker volunteers to give back to Lincoln residents. The 2019 Big Event, organized through the Association of Students of the University of Nebraska, is April 6. Registration, which is open through March 8, is available online. Students, faculty and staff are can register to participate individually or as groups. Registration is completed through GivePulse, a civic service tracking website. 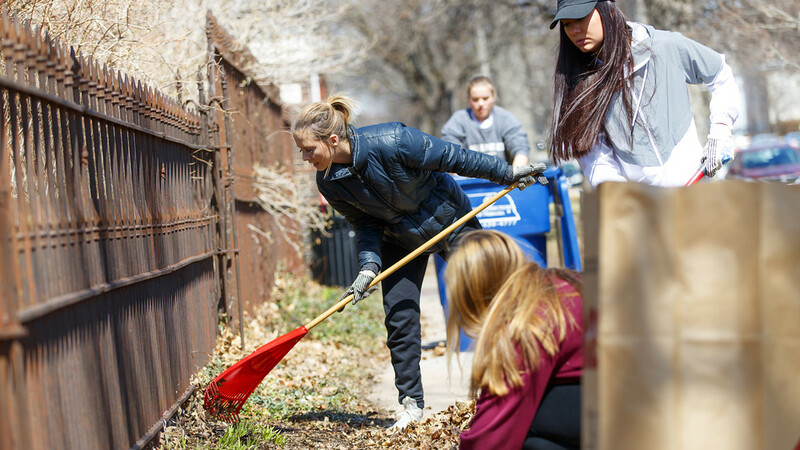 All Big Event service hours will be logged as part of the university’s Husker Civic Challenge, an initiative to encourage students, staff, faculty, alumni and campus friends to record more than 1.5 million service hours in 2019. The challenge is part of the university’s 150th anniversary celebration. Details about the Husker Civic Challenge are available online. Learn more about the Big Event online or send email to bigevent.unl@gmail.com.